Colleen Ann Rooney, passed away on Wednesday, November 21, 2018, at St. Joseph’s Nursing Home in Harahan, LA. Born on September 15, 1947 in New Orleans, Louisiana, to the late Thomas and Edith Rooney. 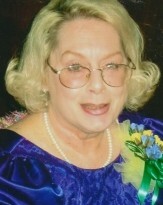 Colleen was a lifelong resident of Metairie, Louisiana. Ms. Rooney was preceded in death by her son, Brant M. Plaisted, her sister, Eileen M. Rooney, and her brother Michael P. Rooney. She will be missed by her daughter, Gretchen Plaisted-Dupuis (Ryan), her granddaughter, Alexandra E. Dupuis, whom she lovingly called “Lexi”, sister-in-law, Marilyn Rooney, her two nieces, Erin Riggs (Chris) and Kaitlyn Rooney. Colleen attended St. Catherine of Siena, Riverdale High School and LSU School of Nursing. The family would like to thank the wonderful staff at St. Joseph Nursing Home and Hospice Associates for all their love and support. A private graveside service was held at St. Patrick Cemetery #2 in New Orleans, Louisiana. Condolences may be expressed online at www.tharpsontheimerfh.com. Information call 504 835-2341.